Harrogate is one of the most beautiful towns in the UK. 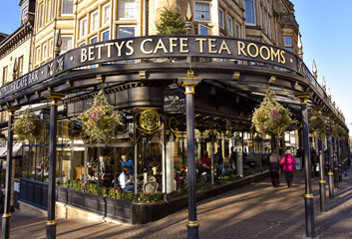 With its wide leafy avenues, pavement cafes, boutique shops and independent bars and restaurants, Harrogate is consistently voted as one of the best places in the UK to live. Harrogate has many restaurants within walking distance of the exhibition halls. This coupled with the many bars means Harrogate is an ideal place for out of hours networking. To make the most of your visit during Tip-ex and Tank-ex, click here for more information.